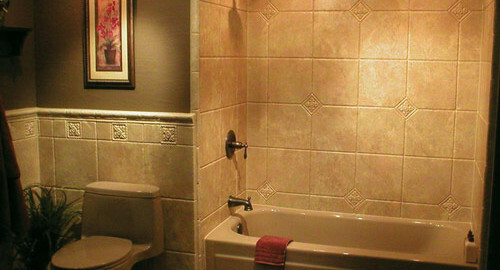 Do you feel like your drab old bathroom could use a facelift? If so, you might be considering remodeling it. Although it sounds like a straightforward task, it can be more difficult than you think. Aside from the variety of skills that go into renovating a bathroom, there’s also the potential to overlook some important issues. Here are five mistakes people often make when remodeling a bathroom and how you can avoid them. It might seems ludicrous that you should require building permits just to remodel your own bathroom, but depending on the type of work you’ll be doing, it may be necessary. This doesn’t apply to basic jobs like painting or tiling. However, if you’re planning to move fixtures around, add new ones or expand the size of your bathroom, your city probably requires that you obtain the appropriate permits before starting. This is done to ensure your safety, and not complying with the law can result in fines. It’s recommended to call your City Hall, tell them your plans and ask what permits you’ll need. Many people start remodeling without a definitive plan, expecting the pieces to fall into place as they go. Unfortunately, this is trouble waiting to happen. It’s essential that you have a detailed plan. Ask yourself how much you want to spend, what you want the finished project to look like and how much materials you’ll need. If you fail to make a concrete plan, you could wind up spending way more than you intended or running short on important materials. The last thing you want is to realize you don’t have enough tile for the job, only to find out the hardware store is out of your style. The only thing worse than running out of materials is using the wrong ones to begin with. It’s common to choose materials based solely on their price, and it can have consequences. You want good quality materials, but more importantly, you want ones that are meant for use in a bathroom. For instance, you need to be sure the paint or tile you selected is designed to withstand the humid environment. These materials often carry a higher price tag than their conventional counterparts, but you can be sure they’ll last. Remodeling a bathroom can be a hazardous venture. It’s important that you take steps to protect yourself against flying debris and other dangers. Be sure to wear safety goggles, long sleeves and pants at all times. If you’ll be cutting tile, a face mask or respirator is also recommended to avoid inhalation of the dust. Furthermore, you should never do this kind of work alone. If something goes wrong, having another person nearby can save your life. Remodeling your own bathroom seems easy at first, but like most things, it’s usually more complicated than it looks. It’s good to be confident in your abilities, but you should also know your limits. Many people start renovations thinking they can handle everything, only to realize they lack the required expertise to complete the job properly. For this reason, it’s critical to do your research before taking the plunge. If you think it’s beyond your abilities, you’re better off calling a professional remodeling service.Remodeling you bathroom can breathe new life and value into your home, but it must be done correctly. By becoming familiar with the most common remodeling mistakes, you can more effectively plan your renovation and enjoy a smoother process and better end result.